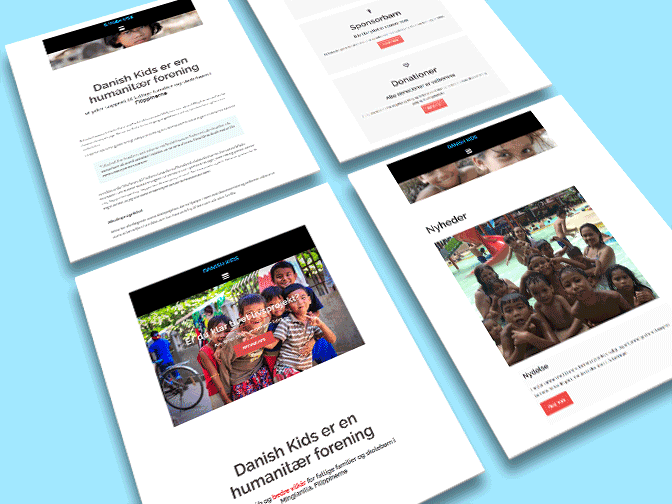 New website for Danish Kids, a non-profit organization that supports poor families and school children in Minglanilla, Philippines. I used WordPress and Sydney as template which also is responsive, and I think it fits well for this project, mainly because of the big slider with texts on the front page. The page contains opportunities for membership and donations, information about the organization, connection to social media, video display and so on. The people from Danish Kids are very satisfied with how it came out!